My research centers on analysis, partial differential equations, and geometry. I am interested in the spectral and scattering theory of Schrodinger operators, especially random Schrodinger operators and the Anderson transition, the theory of resonances, eigenvalue inequalities, and geometric scattering theory for asymptotically real and complex hyperbolic manifolds. 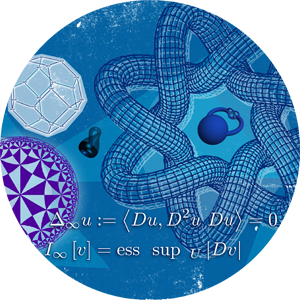 I currently have two doctoral students: Ms. Julie Miker, who is studying eigenvalue inequalities for a family of spherically symmetric manifolds, and Mr. Phuoc Le Ho, who is studying eigenvalues of the Laplacian acting on k-forms over domains connected by thin tubes. with T. Christiansen: Maximal Order of Growth for the Resonance Counting Functions for Generic Potentials in Even Dimensions, to appear in the Indiana University Mathematics Journal. 3. with Ph. Briet, G. Raikov, E. Soccorsi: Mourre estimates for a 2D quantum Hamiltonian on strip-like domains, to appear in Contemporary Mathematics. 5. Lectures on random Schrodinger operators, Contemporary Mathematics, volume 476, pages 41-131, 2008.